Football with a Kick. 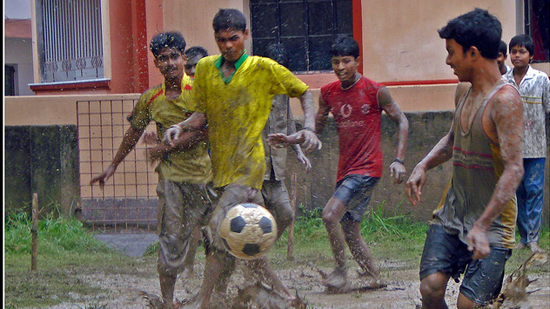 Photo: courtesy Dipanka Dutta, used by permission under Creative Commons Attribution 2.0 Generic License. “Co-creation” is the process of collaborative learning and creation whereby peers are placed together in a situation in order to learn from each other and work together to achieve a goal. Many people, organizations, and even a few governments around the world have adopted this process, which enriches the learning experience and benefits everyone involved. Embracing such a process opens us up to new thoughts, perspectives, and considerations that offer fresh insights and spark original ways of thinking. However, we are frequently relegated to specific planes of interchange: collaborative learning groups often include only people of particular social circles, age brackets, and levels of education due to the socio-economic realities and lack of opportunity for more interaction across backgrounds. Imagine the possibilities that could grow from an expanded and more inclusive platform for knowledge exchange and creation! A city as eclectic and vibrant as Mumbai clearly possesses an abundance of wide-ranging knowledge rooted in the diversity of its own citizens. 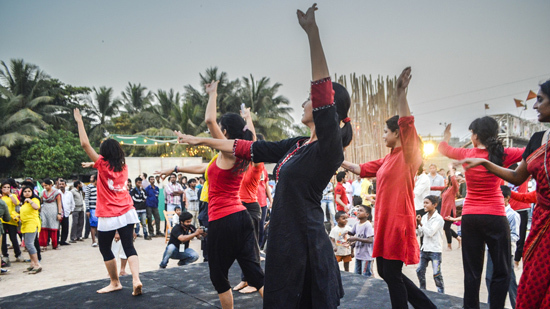 For these reasons, the BMW Guggenheim Lab Mumbai became interested in the potential for collaborative learning across the city within a variety of fields. 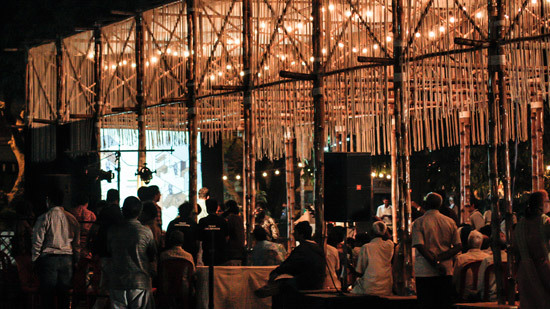 What could elite architecture students learn from a self-taught slum contractor, and vice versa? 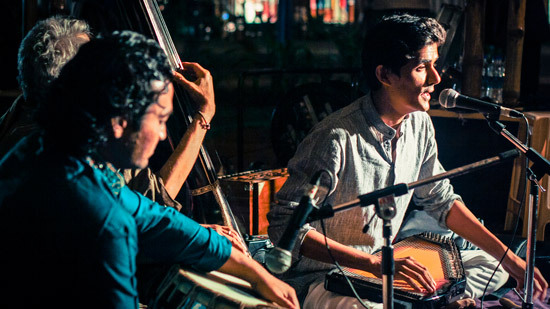 If an Indian classical vocalist, a Western classical violinist, a Kabir rock guitarist, and a Marathi folk musician found middle ground, what would the fusion music they made sound like, and how would their creative process unfold? What would a new dance routine look like when a group of professional dancers from utterly different disciplines and styles choreographed together and engaged with onlookers interested in learning? And what could visitors and audiences learn from observing or participating in the interchange? These were some of the many questions that led to the conception of the Bridging program series, spearheaded by Lab Team member Aisha Dasgupta, Bridging series documentarian and research analyst Jairaj Mashru, and Bridging Public Program Consultant Pooja Warier, and hosted by the Lab during its presentation in Mumbai. The Bridging series aimed to encourage collaboration among people with an interest in the same field (in football, music, dance, and architecture/construction), from professional experts trained by the best in their field to autodidacts who have never received formal training and yet enjoy a status similar to experts, based on their practice and experiences. Through Bridging, these people from varied backgrounds shared knowledge and interacted with each other in four playful workshops. The series proved successful, with professionals and self-taught participants learning from each other, and audience members at performances gaining new insights about their own perceptions of what constitutes “expertise.” The observations and takeaways from the Bridging series reveal ways of creating a stronger platform to support multi-level learning that promotes open-mindedness, challenges existing beliefs and attitudes, and possibly even addresses personal prejudices. These methods could be used to create a more equitable plane for new and different types of collaboration and knowledge exchange. • Everyone has something unique to teach and share. Effective bridges must always offer participants a way to communicate with and learn from each other. • Mutual trust and respect are key ingredients in building effective and long-lasting bridges. They enable the exchange of knowledge and skills between participants and prevent the breakdown of processes and communication. • The greatest opportunity in bridging is long-lasting collaboration—coming together to build something new and resolve important issues. • No bridge can stand on its own for too long without the support of the community. The endorsement of key people, financial support, and time are all crucial. When difficulties arise, the community must show tolerance. • “Doing” together—simply experimenting, playing, and practicing as a group—is important for bridging, and this needs to be done with more people, more often, and over a longer period of time.